Investigators have not yet been able to identify the body due to poor weather. ​"Following extensive visual examination of the accident site using the remotely operated vehicle (ROV), it was decided to attempt recovery operations," officials with the UK's Air Accidents Investigation Branch said in a statement. 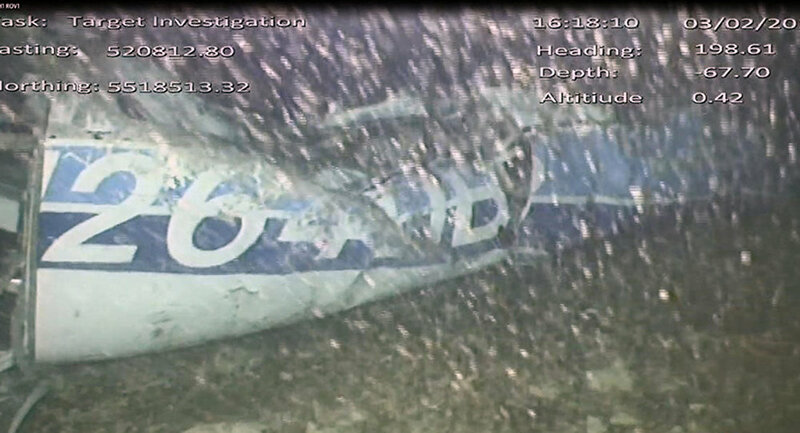 "Unfortunately, attempts to recover the aircraft wreckage were unsuccessful before poor weather conditions forced us to return the ROV to the ship. The weather forecast is poor for the foreseeable future and so the difficult decision was taken to bring the overall operation to a close. The body is currently being taken to Portland to be passed into the care of the Dorset coroner," it added. The AAIB previously announced earlier this week on Monday that officials, using an ROV, were able to find a body from the crash site. The Pipe Malibu plane carrying Sala was reported missing in late January after it disappeared near the island of Alderney in the English Channel. Officials found the crash site two weeks after the plane initially disappeared from radars. At the time of the crash, Sala was on his way to Cardiff, where he was set to join Cardiff City FC in a transfer from France's FC Nantes. The AAIB is expected to publish a full report on the fatal crash within one month.